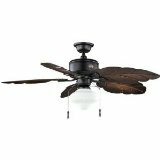 How do I Install a Hampton Bay Ceiling Fan? 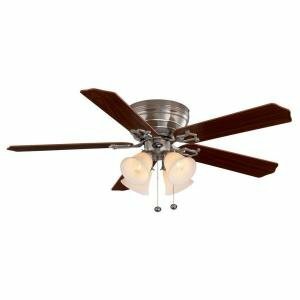 Below we have a step by step guide on how to install your Hampton Bay ceiling fan. This is actually pretty easy! For best results, you can also refer to the manual that came with your Hampton Bay ceiling fan. If you don't have the manual, that's ok! 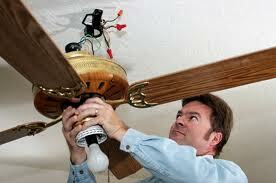 Most ceiling fan installations are all pretty straightforward and universal. As well as that, we have a slew of help guides which can assist with most problems you are having. Look on the right side at technical troubleshooting manuals which can help with the issue you're having, or use the contact page to reach us. 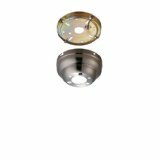 Be sure to shut the power off first and remove the existing fan or lighting fixture, whatever is currently there that you are replacing. Before you handle the wires, use a multimeter to ensure the voltage is zero and not amperage. 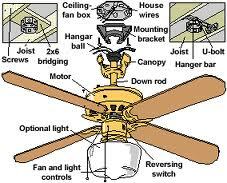 This is an excellent diagram for referencing, when you are performing installation of your ceiling fan. It shows the joists, u-bolts, screws and bridging you will use in your fan. These screws and joists can differ from fan to fan, but for the most part, the diagram at left is very accurate of most typical ceiling fan installations. Once you have ascertained there is no power running, install the mounting bracket (tightly) and make sure it is sturdy. Next, hang the Hampton Bay Ceiling Fan on the mounting bracket. Connect the wires according to the manual. If you need more help connecting the wires, refer to the "Wiring Guide by Wiring Colors" help guide. Next, take the fan blades out of the packaging. 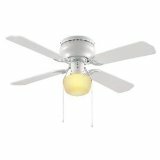 Attach them, as well as the lighting fixture, firmly to the base of the fan. Last step - turn it on, and away you go! Total time - approximately 30 minutes to an hour.